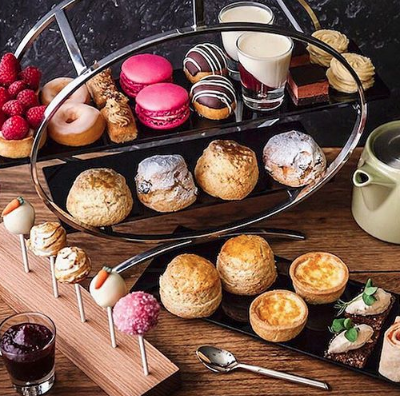 Tempted by some of our Afternoon Tea Adventures? Well we're giving you the chance to win a fabulous Champagne Afternoon Tea for two at one of our favourite venues! 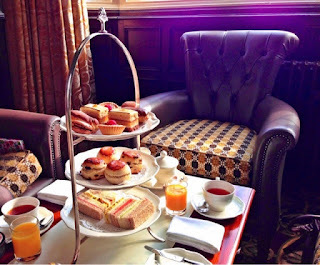 Back in March we visited Crewe Hall in Cheshire to try their famous Afternoon Tea and we must say were very impressed! Check out our review here. So impressed in fact, we teamed up with the folks at this fantastic venue to offer you the chance to win an afternoon of utter indulgence. One lucky winner and a friend will be treated to Crewe Hall's delicious Champagne Afternoon Tea at a date of their choice this summer! Simply email your answers to theafternoonteaclub@hotmail.co.uk or Tweet us at @TeacupReview. All entries must be submitted by midnight on Friday 14th June. We will announce the winner on Sunday 16th June. Terms and Conditions: Open to UK residents only. Only one entry per person. Competition will close at midnight on 14/06/2013. The winner will be chosen at random and announced on 16/06/2013. The Afternoon Tea Club's decision is final and no correspondence will be entered into. There will be no cash alternative. Winner will be notified via email. By entering the competition the winner agrees to participate in such promotional activity on our website and Twitter. No responsibility can be taken for any entries which are not recieved for any reason. The winner must be able to provide their own transport to and from the venue and accommodation should this be necessary. The venue reserves the right to specify the date and circumstance of the prize should the winner's chosen date be unavailable or conflict with the hotel's schedule. The Afternoon Tea Club operates as a separate entity to the QHotels Collective.